Anthony Privette is a respected North Carolina wills, trusts, and estate administration lawyer whose skills in estate planning have fostered the financial growth of generations of families in North Carolina. Mr. Privette can help you plan for retirement and organize your affairs so that your business and family are protected, even in your absence. Accidents and illness are common in Iredell County and other cities of North Carolina. Like the unintentional injuries that cause “accidental” death, the leading causes of “natural” death are health issues over which we have little control. To accept mortality and plan ahead are adult responsibilities. Once we become injured or our health declines, we lose the control and capacity we once had to make sound decisions. Further, this lack of foresight does not only hurt us; the people and causes we worked so hard to protect are the ones who suffer most. It is thus imperative to make a comprehensive estate and financial plan while you are lucid, to provide for yourself and your loved ones when you cannot. 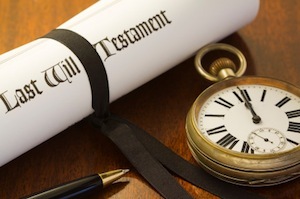 North Carolina law sets forth rules governing wills, trusts, and the administration of estates. Pursuant to Chapter 31 of the General Statutes, any person “of sound mind” over 18 years of age can make a will. Personal property may be bequeathed and real property may be devised by an attested written will or a holographic will that complies with certain requirements. People in their “last sickness” or “imminent peril of death” may make an oral “nuncupative” will before two witnesses. A will can be revoked by a subsequent written will, codicil, or other writing or by being destroyed “with the intent and purpose” of revocation. The testator may likewise set up a trust providing for the education, health, and maintenance of children up to 21 years of age. This provides for the distribution of assets over a period of time, with the remainder to be divided between the beneficiaries once they reach a certain age. Where the beneficiary has issues with judgments and creditors, spendthrift trusts can protect the bequest from opposing parties’ claims. If you want to protect your assets and provide for your loved ones after your death, an experienced North Carolina wills, trusts, and estate administration attorney can help. For years, Anthony Privette has helped clients protect their property and assets from probate, taxes, and public scrutiny. Mr. Privette can help you avoid the pitfalls of probate, an invalid will, and the delayed disbursement of your property. His careful estate planning has prevented potential legal issues and cultivated financial growth for families across North Carolina. Do not wait to get your affairs in order or leave it for your family to untangle; you can minimize future costs and unnecessary heartache by getting help today. Call Mr. Privette at (704) 872-8125 for a confidential consultation.